Provincialate, QUEZON CITY – After having consulted the Prior General and made a written agreement with Bishop Socrates Mesiona of Puerto Princesa, the Prior Provincial, Fray Dionisio Selma, OAR, with the consent of his Council, established the newest community of the Province of St. Ezekiel on December 15, 2018. This 24th Recollect community, located at Brgy. Plaridel in Aborlan, Palawan, is composed of Fray Regino Bangcaya, appointed local prior, Fray Christopher Gaspar, and Fray Monday Benjamine Edobor. Fray Bangcaya was recommended to be the Parish Priest of the San Rafael Parish while Fray Gaspar, the appointed local procurator, was recommended to be its Parochial Vicar. Fray Edobor, who is spending his diaconal practice in the parish, was appointed Liturgist and Chronicler of the community. To become “creators of communion” in this newly established community, Fray Bangcaya said they cater to the needs of the 16 chapels that comprise the entire parish through the assistance of each local pastoral council and the 11 lay ministers who come to serve their respective chapel every Sunday. One of the chapels has 80% Tagbanuas, an indigenous people concentrated in a remote area of the parish. 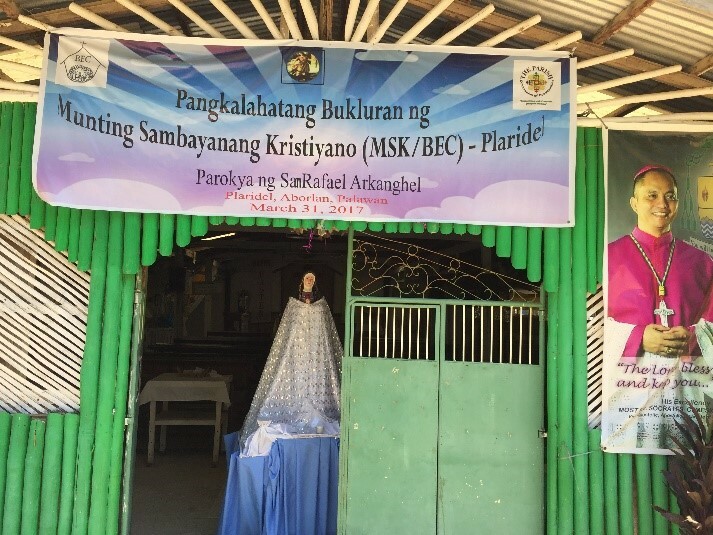 In addition, the parish also counts on the 10 permanent formators who actively sustain its BEC (Basic Ecclesial Community) programs in the existing 56 MSKs (Munting Sambayanang Kristiyano) parish-wide. Other parish organizations or groups include: Apostleship of Prayer, Knights of the Altar, Mother Butler Guild, LeComm (Lectors and Commentators), and the PYM (Parish Youth Ministry). This quadrennium 2018-2022, as in the triennium 2015-2018, the Provincial Council has agreed to take the date of the local community’s foundation from the date when the Prior General gives his formal response to the Council’s consultation on the matter. The Province has a total of 24 houses all in all: 20 in the Philippines and four abroad (two in Sierra Leone, and one each in Taiwan and Saipan). In the Philippines, 10 houses are in Luzon (Manila, Baguio, Cavite, Provincialate, Miranila, Antipolo, Tondo, Inagawan, Casian, and Plaridel); nine in the Visayas (Cebu, San Carlos, Bacolod, Talisay, Valencia, Laray, Tambo, Caidiocan, and Balamban); and one in Mindanao (Hinatuan). 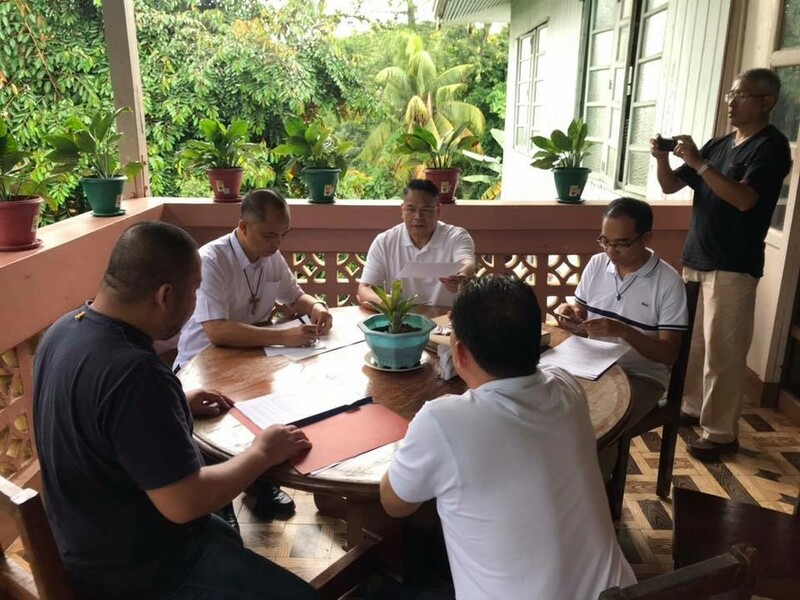 During the signing of the MOA, it was specified that the San Rafael Parish would be administered by the Augustinian Recollects for 15 years and that this bilateral agreement could be renewed afterwards.